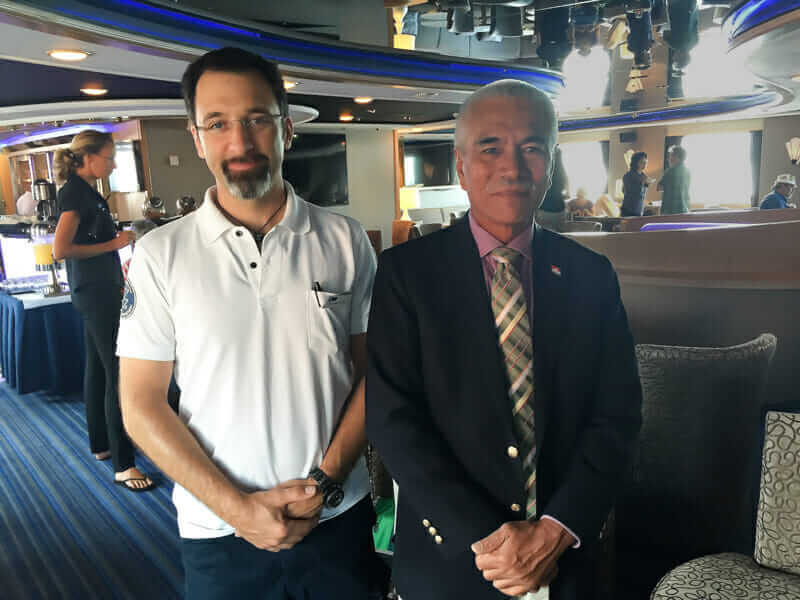 In October 2015, I embarked on TED’s Mission Blue II expedition from Papua New Guinea to the Solomon Islands aboard the National Geographic M/V Orion. It was a collaboration of scientists, activists, policy makers, innovators, and explorers to discuss ocean conservation and opportunities to solve some of the ocean’s biggest problems. It was an incredible experience that is shaping Autodesk’s thinking around the future of the ocean and the impact it will have on designers and engineers, particularly in architecture and infrastructure industries. The ocean’s health is easy to ignore, especially for busy professionals whose work seemingly doesn’t have any direct connection to this vast blue expanse. Yet the very existence of humans on the planet is inextricably linked to the ocean’s health. Without a healthy ocean, people can’t breathe. That’s because half of the Earth’s oxygen comes from plankton. 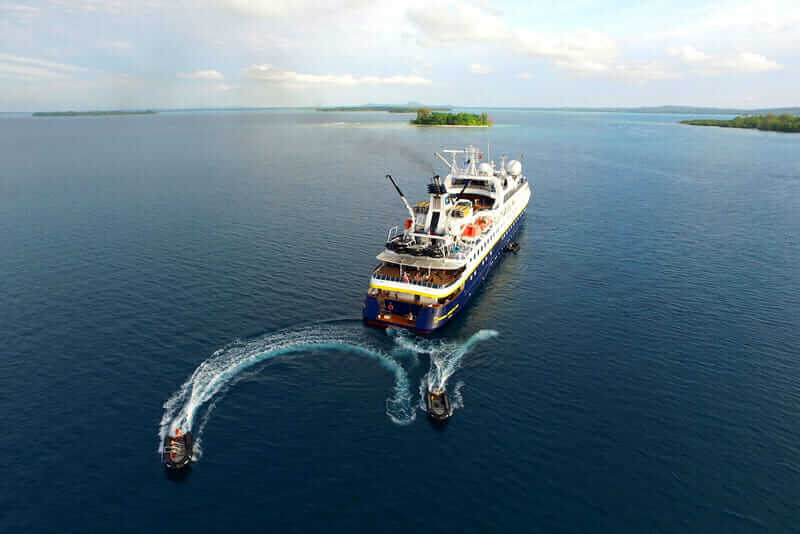 The National Geographic ship M/V Orion at anchor in Lissenung, Papua New Guinea during the TED Mission Blue II expedition. Photo taken by a DJI Inspire drone. The ocean is important, and it’s in trouble: Sea-level rise has gone up seven inches in the past century. Carbon-dioxide levels are the highest they’ve been in 650,000 years. Increased CO2 causes rising ocean acidity, which attacks the exoskeletons of plankton; that is a problem because plankton feed the food chain and create the oxygen people breathe. Ninety percent of the ocean’s largest fish are gone, yet only 4 percent of the ocean is protected against mining, fishing, and dumping. 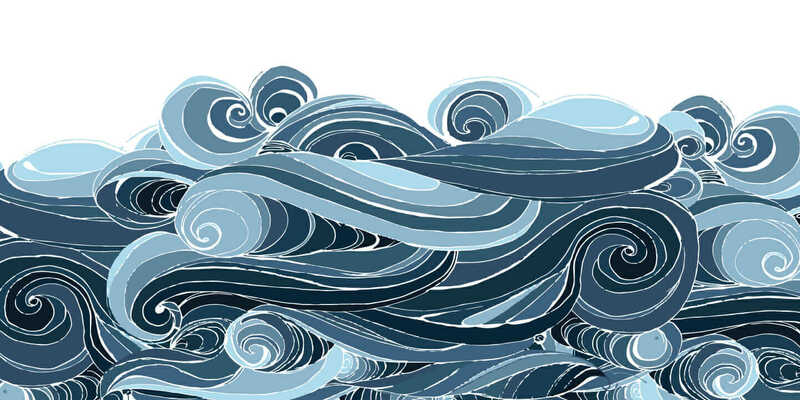 For the past two years, a team at Autodesk has researched the ocean and the impact its dynamics will have on designers, engineers, and the tools they use in the future. The team has been lucky to work with many of the world’s leading oceanographers, marine biologists, and conservationists. From that work, we discovered: The ocean is a supercomplex system, and it’s pretty messed up—critically so in some areas; by acting quickly, it’s not too late to make positive changes; and there’s a single, rate-limiting step that’s holding up progress on all fronts—awareness and engagement. That wasn’t what I expected to find after months of scientific inquiry. But solving any problem facing the ocean requires a huge, multifaceted effort with societal, cultural, economic, and political implications. And it’s difficult to make progress along those fronts simultaneously without a broadly popular sense of purpose and urgency. The first mission should be to increase awareness of the ocean and engagement with its issues so policy makers, scientists, designers, engineers, students, and even little kids can work on solutions to secure a more sustainable planet. But how do we reach millions with compelling, emotional experiences that will change behavior? What the ocean needs is more storytellers. 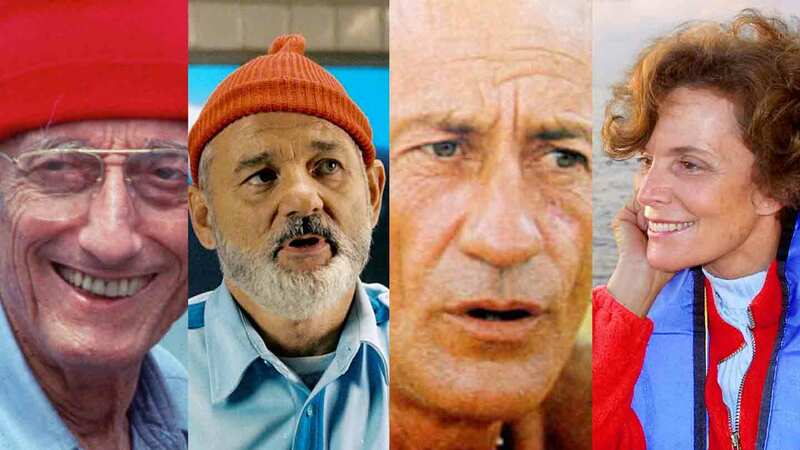 A whole generation of people was inspired by storytellers like Jacques Cousteau, Steve Zissou, Bernard Moitessier, and Sylvia Earle. Unfortunately, two of those people are dead, one doesn’t actually exist, and Dr. Earle has done more than her fair share and could really use a hand. Today, the ocean needs thousands of people like those four telling its stories. There are big challenges, but I’m excited about the technology that can help engage more people in new, profound ways. Reality capture and photogrammetry—technologies originally designed to capture construction sites, products, and other things typically found above water—are now being used to capture high-resolution 3D models of coral. Autodesk Foundation grantee, The Hydrous, is a great example of a startup doing exactly that and making a positive impact toward saving endangered coral reefs. Capturing the 3D models is a relatively simple process with an underwater camera and a product like Autodesk Memento. Not only are they more engaging than a 2D photo, but with a 3D Memento file, a 3D printer can create a physical replica of the coral to be shared anywhere in the world. Imagine the power of putting a 3D print of a real coral in the hands of a kid who’s never been to the ocean: That experience might just be the spark igniting that child’s love for the ocean and lead him or her to become an ocean scientist or a government leader working for change. 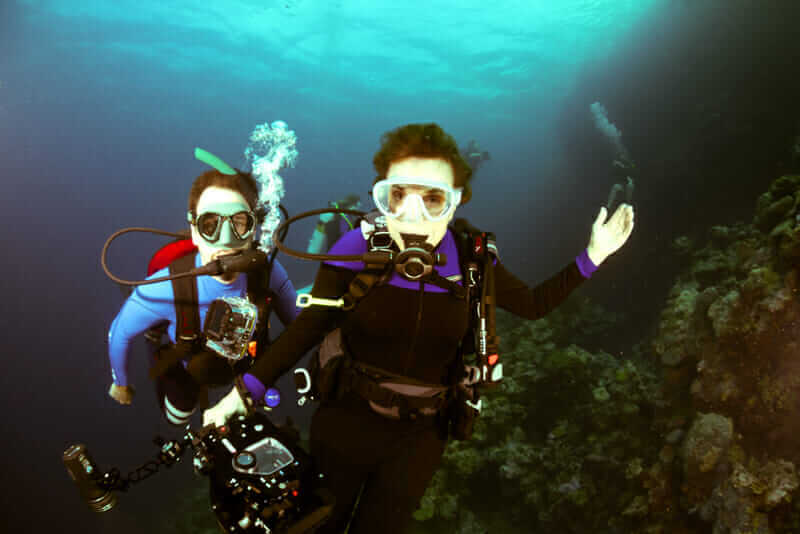 During a September 2015 “Sustainable Oceans” panel at the Clinton Global Initiative in New York, Sylvia Earle (seen here diving with Maurice Conti) said the biggest problem related to ocean conservation is ignorance. Courtesy Tom Gruber. Here’s another thing that’s great about having 3D, computable data of corals: Scientists used to study corals with tape measures. Seriously, it was like Dr. Seuss: one coral, two coral, three coral, four. But now, with software, a camera, and an Internet connection, there could be a thousand times the number of storytellers collecting and sharing data with everyone in the world. Yet there’s another challenge: People don’t care—not because they’re bad people, but because they’re not thinking about this stuff. They’re not aware or engaged, because it’s hard to relate. For many, the ocean is a vast, featureless plane. Fortunately, because people relate to people, there are opportunities to engage them through humanity’s rich seafaring history. Dr. Brendan Foley from Woods Hole Oceanographic Institution is leading research on the Antikythera wreck, arguably the most significant underwater archeological site being excavated today. It’s a 2,000-year-old ship loaded with ancient Greek treasures, including the famous Antikythera Mechanism: an ancient computer thought to be designed by Archimedes. Dr. Foley and his team are not only using reality capture to document found objects and share 3D data with scientists, students, and the public, but also digitally preserving objects that disintegrated shortly after being captured in 3D. Even though the original artifacts are gone, a high-fidelity reproduction can be created by 3D printing from the Memento file. Maurice Conti (left) and President Anote Tong of Kiribati. Courtesy Jonathan Knowles. Sea-level rise and climate change are also perfect candidates for storytelling because they’re difficult concepts to grasp and they’re beset by political controversy and misunderstanding. It’s hard for people to change behavior to offset a problem they’re dimly aware may take place in the future. For the first time, sea-level rise became a problem of the present for me—not something to prepare for in an eventual future. It took the experience of that conversation, that narrative­, to fundamentally change my understanding of the problem. More people need to have those aha moments, because everyone from civil engineers to 5-year-olds can effect change. The first step is to join the conversation. Whether about sea-level rise, shipwrecks, corals, or marine mammals, people need to connect their friends and family to the story of the ocean—pique their passion and curiosity. The more people are engaged, the better the story they’ll have to tell future generations.